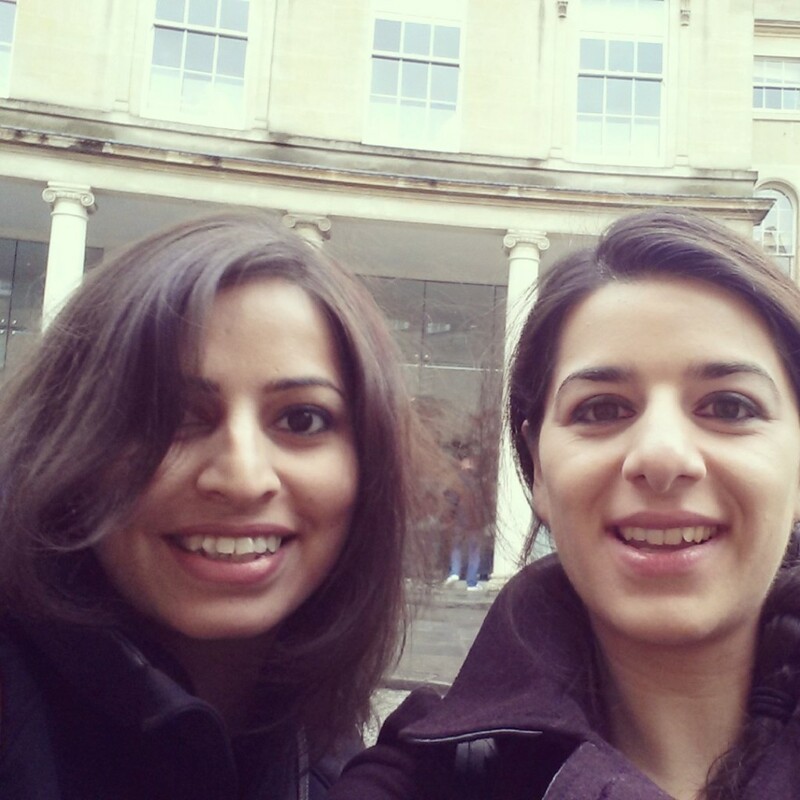 My friend Hina & I spent this past weekend rediscovering Bath, a historic town located an easy 90 minute train ride from London. I have been to Bath many times before and am always mesmerized by the Georgian architecture and stunning scenery in and around town. 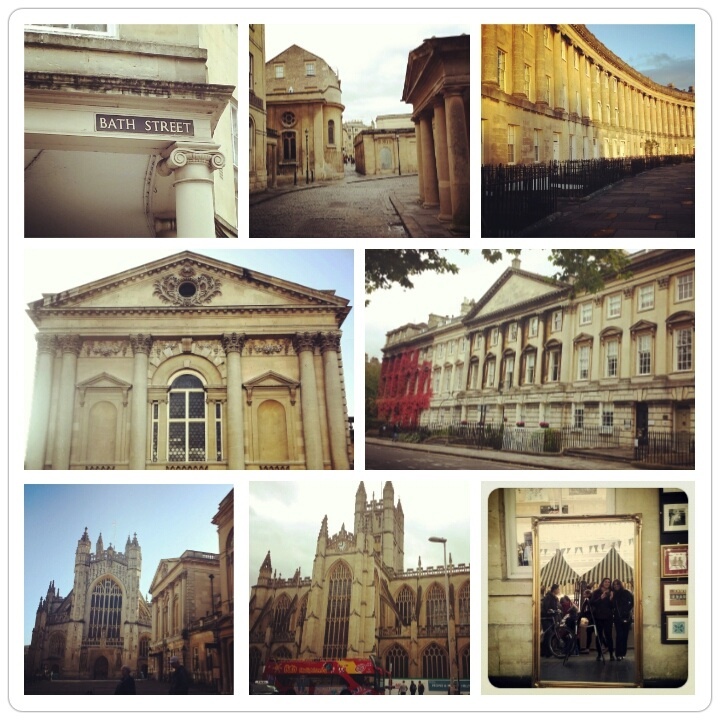 Pictured below are some of my favourite shots of Bath from the weekend. After wandering the beautiful streets of Bath on Saturday, we spent Sunday relaxing at the Thermae Bath Spa, Britain’s only thermal day spa fully serviced by the mineral rich, healing waters that have made Bath so famous. The spa boasts of a warm open-air rooftop pool overlooking Bath and the countryside. Cameras aren’t allowed in the spa but hopefully these images from their website will give you an idea of the experience we had! We lucked out and had a surprisingly sunny morning in the thermal rooftop pool. We also got to experience the pool in the rain a few hours later which was a memorable experience. We spent our day getting treatments, exploring the Aroma Steam Rooms, and relaxing in the indoor thermal pool. Wish every day could be like this! 😉 The spa was noticeably busy though and not as peaceful as I expected. Despite that, we left the spa feeling fresh, calm & relaxed – mission accomplished! Bath also has a buzzing restaurant scene with some fantastic options. Here is a list of places to eat at if you are heading to Bath at some point in the future! 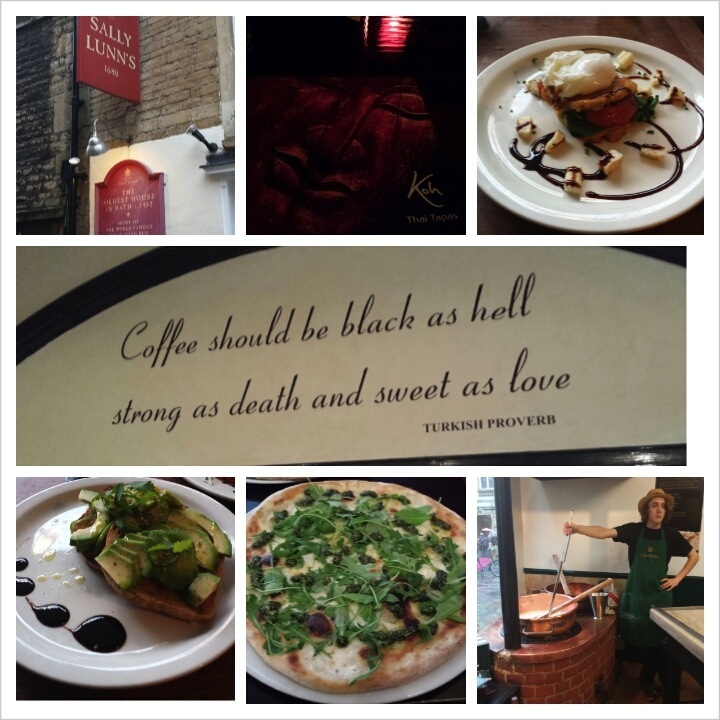 Jika Jika – Amazing coffee and perfect for a fresh, healthy brunch/light lunch in an eclectic setting. Koh Thai Tapas – gorgeous Thai restaurant with brilliant Thai ‘tapas’, food and cocktails. Koh Thai was recommended by one of my Twitter followers and I am so glad we went – still dreaming about the divine red curry! The Real Italian Pizza Co – a small, family run pizzeria where you can watch the chefs prepare thin, crisp pizzas. Delicious. Sally Lunn’s House – This historic eating house is famous for its traditional ‘Bath Buns’ still made with Sally Lunn’s secret recipe. We didn’t eat here on this trip but did pick up some takeaway buns to bring back home! Fudge Kitchen – I always pick up some fudge to take back to London from this tiny shop by the Roman Baths where they make the fudge on site. Couldn’t resist the handmade Sea Salted Caramel & Belgian Chocolate Swirl fudge – super yum. It was a lovely weekend in a beautiful town with one of my dearest friends. I highly recommend a day trip or weekend getaway to Bath – lots to see and do combined with a fun food and shopping scene. I am sure I will be back soon. You got to go away for the whole weekend?! Yes! A whole weekend! Mama’s weekend out!! This is brilliant! I love the photos of course,You both are really looking really fresh and very pretty! Thanks! Yes, we felt very fresh and calm after the spa day!